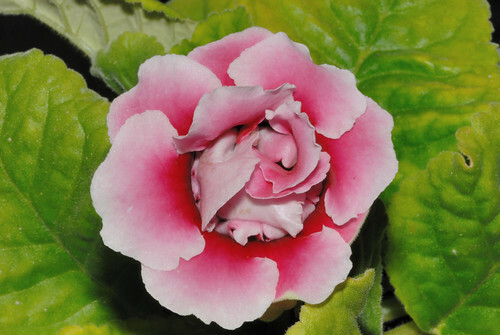 Gloxinia are showy house and greenhouse plants in a range of bright colours. I have just purchased 3 tubers and hope for different colours. They will brighten up my range of houseplants flowering in about 10 weeks. Until they flower I won’t know so I borrowed this photograph from a specialist nursery. Tubers or corms may be found under the name Sinningia speciosa or Gloxinia and are part of the Gesneriaceae family that includes African Violets. Plant shallowly in good compost with the buds facing upwards, this is usually the concave side like begonias. Water the compost with warm water from the bottom to stop the tuber rotting and keep the atmosphere humid without getting the leaves or flowers wet or they will be stained with brown blotches. 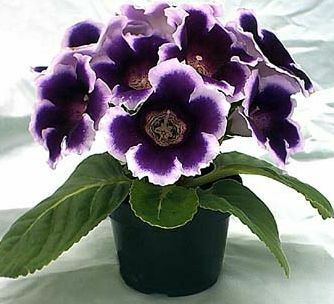 Gloxinia like plenty of bright light without direct burning sun. If the furry leaves elongate it is a sign they need more light. Do not expose to direct mid-day sun as the leaves are liable to become scorched. Plastic pots are fine but I add some grit or perlite to help avoid water logging. Use insecticide at the first hint of mealy bugs. 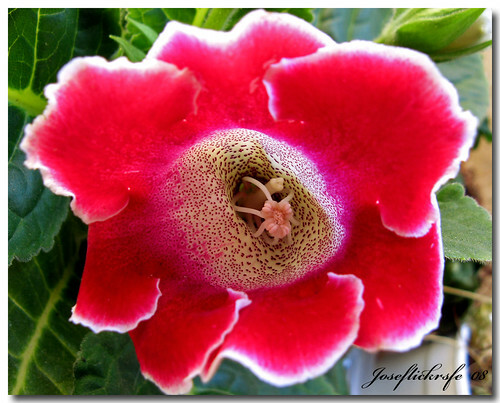 Gloxinia perennis is the best known and true Gloxinia. It is a herb like plant with large, nodding, purple, mint-scented flowers. Gloxinia erinoides has tiny white and maroon flowers. This diminutive plant is notable for having tiny but distinctly coconut-scented flowers and is occasionally cultivated as a houseplant. Gloxinia xanthophylla The plant is a shrubby herb with small white flowers that is seldom cultivated. In future I will try to stick to Sinningia speciosa, as the name for the popular houseplant. 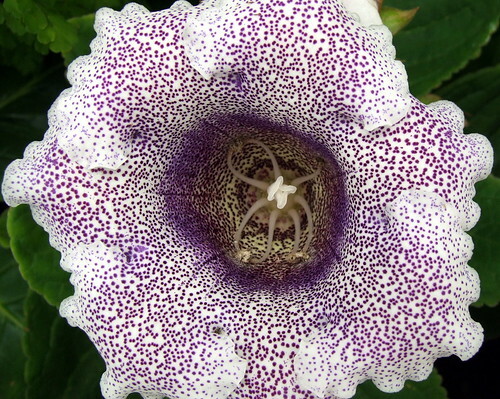 It was originally described and introduced to cultivation as Gloxinia speciosa.